Specialized Bicycle Components, Inc. and the United States Consumer Product Safety Commission (CPSC) have issued a recall of certain of Specialized's 2012 and 2013 model year road bicycles and framesets. The model names which have been recalled are the "Tarmac SL4," "Crux" and "Secteur." Pictures of all of the recalled models are available here. The recalled bicycles all have the brand name "Specialized" as well as their respective model name written on the frame. The affected bicycles and frames were sold in over 20 different color combinations. The company estimates that over 12,200 road bikes and frames are subject to the recall. The affected bikes and frames were sold between July 2011 and January 2013. According to a press release from the CPSC, there have been at least two reported incidents of riders suffering fall injuries as a result of part of the bicycle's front fork breaking. Anytime part of a bicycle frame breaks while riding there is a grave threat of severe injuries to the rider due to falling or being thrown from the bike. If you own one of the recalled bicycles or framesets the company warns that you must "immediately stop using the bicycle" and bring it to an authorized dealer for a free inspection and necessary repair. That danger or defect is the cause of a rider's injuries. The Illinois Bicycle Lawyers of Keating Law Offices are committed to making sure that bicyclists stay safe. 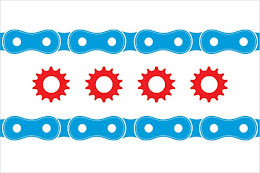 Please check back regularly at our blog, www.IllinoisBicycleLaw.com, for updated information on bicycle-related product recalls. If you have a question about this post, or any issue about Illinois personal injury law, please contact Illinois Bicycle Lawyer Michael Keating by calling him at 312-208-7702 or emailing him at MKeating@KeatingLegal.com. Initial consultations are free and confidential.